With the celebrations for the Diamond Jubilee of Queen Elizabeth II and 2012 Summer Olympic Games underway, this is the summer to be in London. So, after a few weeks visiting with friends in Italy, I headed to London – to preview what the Olympians will no doubt be enjoying oysterwise. Native (wild) oysters in the British Isles date back to the Jurassic period and became popular in Britain since Roman times. They grow in the shallow coastal waters and estuaries around the British Isles. 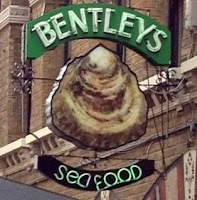 In 1916 Londoners were treated to the perfect place to enjoy native oysters: Bentley’s Oyster Bar & Grill, an only slightly tucked away place on Swallow Street in Mayfair, near Piccadilly Circus. Oyster lovers have been making their pilgrimages to this same location to enjoy the best oysters from around the British Isles for close to a century. When the restaurant went on the market in 2005, renowned chef Richard Corrigan purchased and personalized Bentley’s. The perfect touch. In contrast to the UK’s native oysters, rock (farmed) oysters, which were introduced commercially in the 1960s, are enjoyed year round. The rocks, have rough shells and are tear-dropped shaped. I was told, rocks are sweeter, saltier and meatier than natives, but I have no frame of reference, since by law, natives cannot be fished between May and August. So, here at Bentley’s in the Summertime, rock oysters from the British Isles is all they feature. Bentley’s has several options for dining. You can relax at The Terrace outside in front of the restaurant. Tables with garden chairs and umbrellas make it a great place to take a break from touring around London. The Grill inside offers formal dining – a great place to fully enjoy Richard’s amazing menu. And of course there is my destination: The Oyster Bar. Entering the wood-paneled room, I found a comfortable stool at the marble-topped bar. At mid afternoon, I was joined by a trio of locals who obviously had ducked out of work for a while. At a red leather banquette nearby, a young couple was engaged in some covert conversation, enjoying their oysters and champagne. 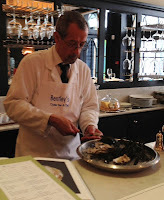 When the white jacketed barman approached, he knew I was here to write about the oysters. He described his oysters with great pride, all the while effortlessly shucking oysters drawn from an ice filled basin. At his excellent suggestion, I started with a Château de la Mirande Picpoul de Pinet, from the Languedoc-Roussillon region of France. An excellent recommendation, which I ended up sticking to for the rest of my visit. 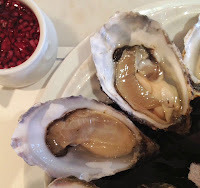 The barman smiled as I told him I preferred my oysters “naked”, perhaps with just a squeeze of lemon or a touch of shallot vinegar. He told me that many Americans request their oysters fully dressed - masking the wonderful flavors of his amazing mollusks. The more we chatted, the more we found we had in common. (It could have been the wine). Shucking the entire time we talked, he told me that the key to the best in oysters is this: The colder the water, the better the oyster. 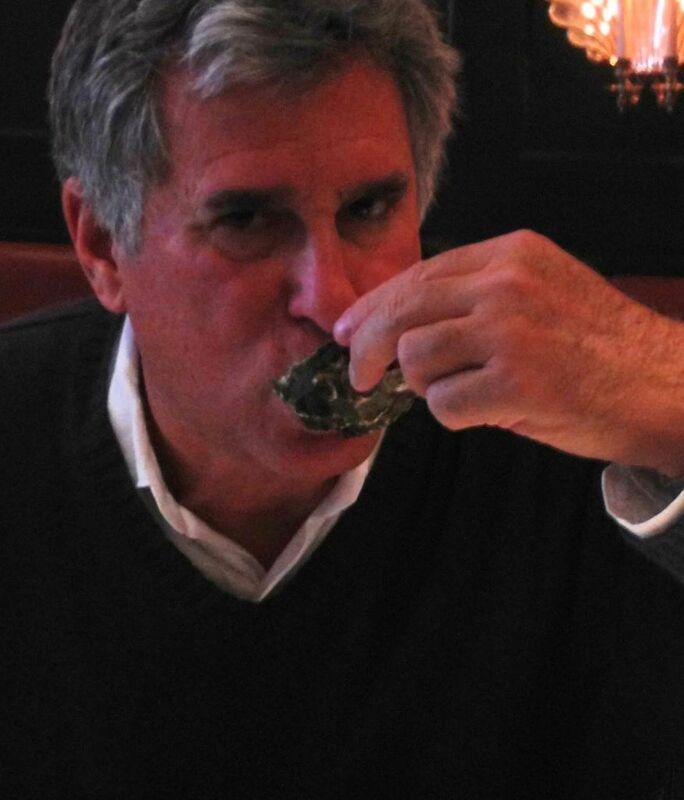 Despite having enjoyed Gulf oysters in years past, I had to agree with him. Within minutes, he had arranged a great platter of rocks for me. A plate of sourdough Irish soda bread, along with Lincolnshire butter and herb butter with seaweed was all I needed as an accompaniment. Well, except for the wine. I began by tasting the cupped shelled rock oysters harvested from the Jersey Island off the coast of Normandy. Firm, crispy, salty and savory. 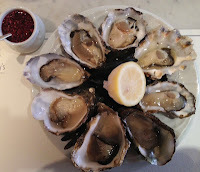 Next I sampled the Maldon rock oysters from Essex. Firm, meaty and creamy - and a bit saltier. Inhaling the oysters, I could almost smell the sea air. The West Mersea Pearls which followed were plump, yet delicate. Smooth and silky, with a slight hint of the seaweed from the comfortable beds they had been nestled in just a day earlier. The perfect balance between sweet and salt, with sort of a organic lettuce flavor. 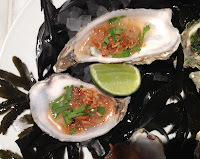 Although we had talked about our mutual preference for naked oysters, the barman had the chef make me a dressed platter “just for contrast.” I sampled those wonderful oysters topped with a tangy Vietnamese sauce, followed by some with a spicy Catalan sauce. 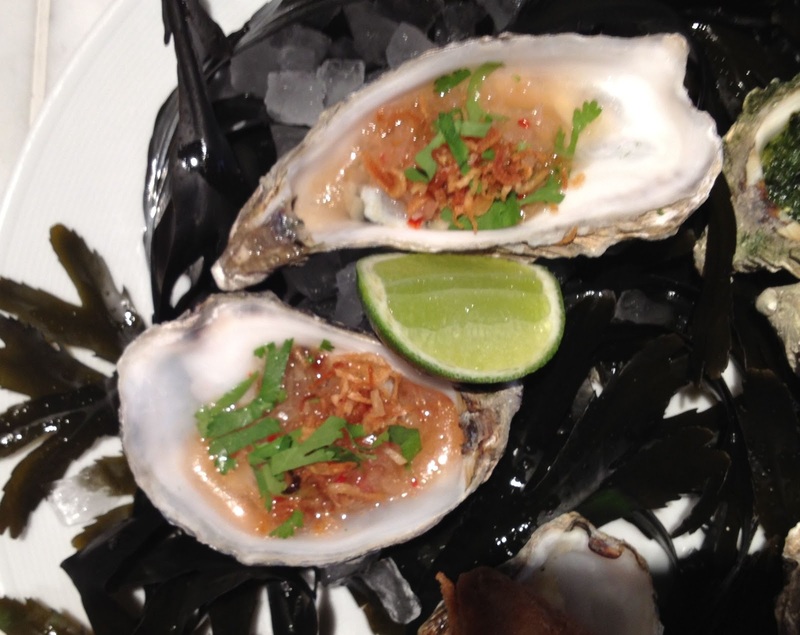 To round off the selection, I had two Oysters Rockefeller. The Vietnamese were my favorite. 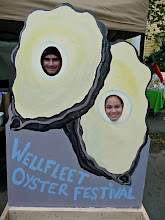 With all of these great oysters, I could only imagine just how great the natives would taste. I visit London every other year to see great plays and musical’s in London’s West End. I now know my nest trip will be in the Fall – after the first cold spell sets in. 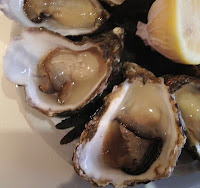 The barman assured me I would truly enjoy the natives from Loch Ryan in Southwest Scotland. I trust his judgement implicitly.